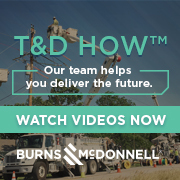 SEVERAL YEARS AGO, ENGINEERS AT AMERICAN ELECTRIC Power measured the transfer capability or transmission capacity (in this article we will use the terms interchangeably) between AEP and Commonwealth Edison. Using traditional methods, they found that the winter transmission capacity that year was 3,500 megawatts. Then they performed a more exhaustive and nonstandard analysis. It showed that during the month of January, transmission capacity actually varied from a low of 1,600 MW (less than half the nominal amount) to a high of 6,000 MW (70 percent higher than nominal). So they say. Many believe that utility control over electric metering exerts a chilling effect on retail choice in energy. They claim that competitive energy service providers cannot earn a high-enough margin on the commodity alone, but must offer companion services - metering, billing and value-added options. Yet the road to competitive metering is pitted with potholes. Utilities, ESPs and private meter vendors and manufacturers can be found arguing over a raft of issues. Does it make sense to deregulate utility meters before knowing how (or if) competition will work in the electricity industry? Or is it better to wait, to get a better idea of what customers will want, need and be willing to buy? After all, the point is to give better choices to consumers. Shouldn't they have a say? To open electric metering to competition implies standardization - collecting groups of engineers and scientists to approve technical standards for data formats and telecommunications protocols to achieve some degree of interoperability for equipment and software. THE BOARD OF DIRECTORS of Virginia Power elected James A. White to the position of senior vice president, human resources. White previously served as senior vice president, human resources for the investment management group of Cigna Corp. He will replace Tom O'Neil, who retires after a 33-year career with the company. Sen. Frank Murkowski (R-Alaska) announced the appointment of Tina Kreisher as communications director of the Senate Committee on Energy and Natural Resources. Kreisher previously served as deputy director of the Washington d.c. office of Gov. THE LIST OF COMPANIES STUNG BY RECENT ELECTRICITY. price spikes in he Midwest continues to expand, as cries for price caps grow loader. Much has been said of the dollar amounts lost and who has incurred those losses; yet few have questioned the fundamentals driving this market. Understanding what's behind the recent market uproar is the first step in deciding how well the market functions. Regulators should be careful not to slow the restructuring process simply because of this price volatility, but they should pay very close attention to its causes. William Catacosinos has resigned as chairman of MarketSpan Corp., the utility formed to replace the troubled Long Island Lighting Co. Catacosinos is under investigation by the New York attorney general due to a $42-million severance payment as part of the buyout of LILCO by the New York government-run Long Island Power Authority (see Public Utilities Fortnightly, August 1998, p.28). SCT Utility Systems Inc., signed a software and services agreement worth about $13 million with the city of Seattle for the BANNER Customer Management System. Efforts to make generation competitive have induced several electric utilities to sell their power plants. Some sales are voluntary. Some are forced by rules mandating functional segregation from transmission and distribution. Of those sales announced or completed, most have involved high-cost utilities, and all have garnered at least book value, suggesting an attempt by sellers to deal with stranded costs. Why then, are buyers willing to pay more than book value? They must believe they can improve on cash flows - either by raising revenues, trimming costs, or both. For more than a decade, retired teacher Drew Wilson has taken on the persona of Thomas Alva Edison to represent Southern California Edison Co. at school assemblies, public exhibitions and fairs (see photo). Although he bears no relation to the inventor, Wilson is one of the best Edison impersonators, said SCE spokesman Charlie Basham. THERE MAY BE A LOT OF TALK IN THE ELECTRIC industry nowadays about creating a new identity to build name recognition, but residents in some parts of the country are seeing some old, familiar faces. Namely, Tom, Ben, Reddy and Willie. Credit card companies say they're seeing an increase in volume for energy transactions despite claims by utilities that it costs more for them to receive monthly bills on plastic. As proof of their desire not to take the credit card route, the utilities that allow customers to pay with a card don't always promote that option. Holding utilities back are the transaction fees they pay for bill processing. These fees can run as high as 3 percent or more. If a customer doesn't pay the full card balance each month, the servicing bank profits even more. THE OLD ADAGE ABOUT INNOVATION STILL HOLDS TRUE: "You can tell the pioneers by the arrows in their backs." More than 70 municipal utilities have either built or plan to build telecommunications systems with fiber-optic and coaxial cable to compete against local cable television, data communications or telephony providers. Profitability for these ventures has been abysmal, but their customers and regulators are happy. Now large, investor-owned electric utilities are stumbling down the same trail marked with cast-off bandages of these early pioneers.